My goal is meditation to help the grieving the death of my husband. I was surprised to know the various ways to meditate. Well done!!! I’m Catholic. I pray the Rosary, daily. It’s 20 minutes of very focused meditation. The repetitive prayer is like music, or mantra, or even silence that allows me to hear what worldly distractions normally blocks out. I’ve done martial arts type meditation as well as other Eastern forms, and “occultish” (sorry, God) ways of meditating. The Rosary, Blessed John Paul’s favorite prayer, is the form I find to be the most enlightening. Adding the practice of fasting to meditation can really supercharge the spiritual experience. I’ve done this a few times in my life, and it was nothing short of amazing. I drected a mental health crisis team in the South Bronx. Kids who returned to visit, said what helped them most were our breathing exercises. thank you for this. Great article. I also love to meditate. I have found that after practicing meditation it became something I could do while sitting at my desk or in my rocker at home, with eyes wide open. I feel so rejuvenated when I am finished. I used to think it was something you needed to be alone to do or to have complete silence. Not true, we are all able to step outside of ourselves at anytime with practice. Thanks a lot:)) I totally agree; there are so many ways to get your meditation in gear. I tried to meditate at my work desk and I ended up passing out lol but I’ll keep striving!! I wish you the best of luck in writing your book. You have a lot of great advice and information for other people who will definitely benefit from it- me included. I look forward to reading more. Thanks for all the positive feedback , it means a lot to me 🙂 I’m always open to connect with like-minded people. I have tried to meditate numerous times in the stereotypical way you described and it totally did not work for me, my mind got so bored. But I like that you say about the writing. I feel so relaxed when I am writing, especially when it is something I am passionate about. So maybe I really AM meditating and I didn’t even know it. I’m wondering if meditation can help me with my disassociation which is, basically, the opposite of meditation – coming unfocused? Hmmmmmmmmm…a new mindfulness skill to help? Thanks for sharing, Remona. 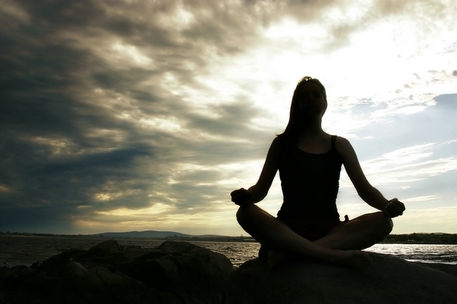 Meditative practices are simply amazing; they can definitely help you become more focused. Wonderful post! Thank you for visiting my blog and your lovely comment – through which I have now discovered your blog! Keep in touch! Continue writing on your blog! Cheers. I ditto about the writing part. Sometimes I will literally have to force myself out of the hair to do something or push off eating because I’m so caught up with words floating around lol. But I do like this post and agree that many people take meditation the wrong way. I LOVE my bed for this, it’s where all the creative energy comes out. This is very interesting to me. i have struggled with meditation but I keep trying hoping that one day it will click for me. I just keep trying to do a little bit at a time and gradually (I hope) it will get easier and longer. I go through the same thing – from time to time – but like My Sifu always says, keep practicing. You’re doing Shaolin training? Sweet! I’ve always wanted to do that. My only problem with martial arts training is I don’t like hitting or getting hit. But, it’s so badass. Ha ha! Nice to connect here with you. Great read. I am definitely going to get round to doing meditation. I have always thought of going to one of those Buddhist places where you go for a few days and practice meditation etc. Would you describe meditation as doing something passionately but being relaxed at the same time? I too get those moments where i’m so into my writing that nothing distracts and i just want to put my writing energy onto paper like a passion. Thanks Jay; writing has that kind of positive impact, when you get going.